Every maker has a story. Be a part of Fish Gap Rustics's story by placing an order, leaving a review, and seeing your review appear here. 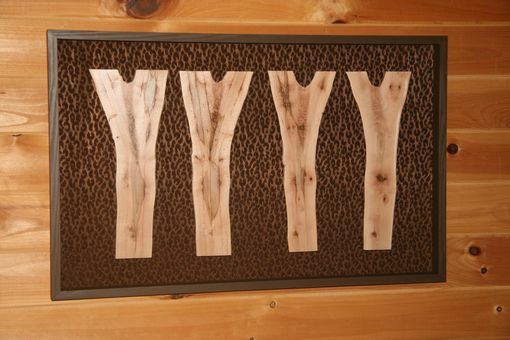 Dogwood Forest.- A one of a kind wall hanging made from dogwood. The piece is one of a kind because the wood can never be exactly duplicated. Making the piece unique. The natural colors in the wood and the play of light on the fabric background give the piece life and movement. 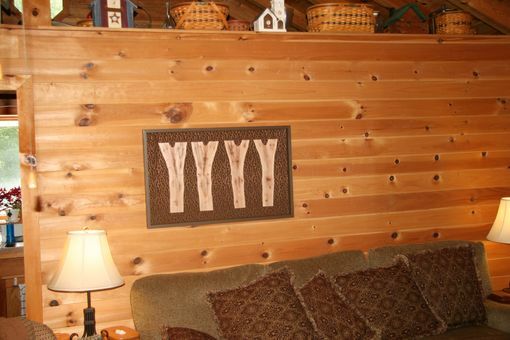 The background fabric is brown with patterns. 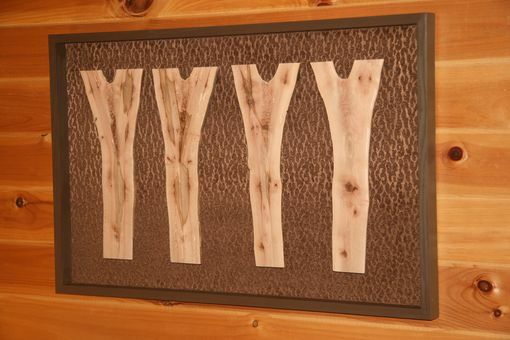 The frame is colored to compliment the fabric.The wood is from consecutive slices of dogwood. The wood is mounted an inch off of the fabric to give the piece depth. The overall size is 38 3/4" x 24 5/8".